Hostal Pacios, Madryt, Hiszpania : Rezerwuj teraz! The property will charge the remaining amount 4 weeks prior to arrival. We ask for 50 € Security Deposit. 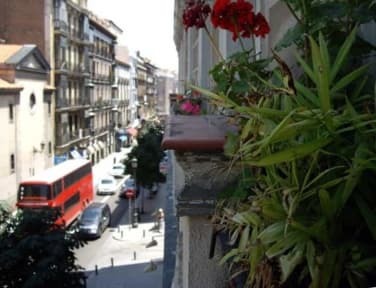 Hostal Pacios is located in Madrid old quarters, at the heart of the historic part of the city, just a step from Puerta del Sol and Plaza Mayor. 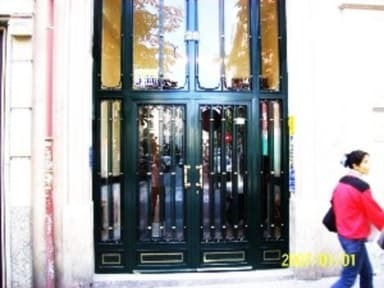 The Hostal is also within easy walking distance of the main museums in Madrid such as the Prado Art Museum, the Thyssen-Bornemisza Museum and the Reina Sofia Contemporary Art Museum. Hostal Pacios is in the best area, right near Plaza Santa Ana and all the best night life and close enough to literally everything else. The location is perfect for a stay near almost everything you have to see during a stay in Madrid. The shopping streets and many tapas bars, cervecerias and restaurants are also just around the corner. Hostal Pacios has rooms, clean and comfortable, with sink/wash-basin and heat. The bathrooms are shared. We have a left-luggage service. There are several public car parks near the Hostal so that parking in Madrid will not be a problem. The best of Madrid as regards cinemas, theatres, restaurants, bars, pubs (area of Huertas Street and Santa Ana Square), discos, nightclubs, and shopping streets is in the area. You may enjoy the well-known Madrid nightlife without going far from the Hostal. The Hostal is also quite close to the Rastro, a flea market (with old and new goods) running on Sundays in numerous streets. Check - in from 2 p.m. The standard cancellation policy is 72 hours. We require that cancellations are made only by e-mail, not by telephone.